All right, title and interest in this Web site and any content contained herein is the exclusive property of Nautilus, Inc., except as otherwise stated. This Web site is intended for personal, non-commercial use. Nautilus, Inc. grants you a limited license to access and make personal use of this site. You may print, copy and download any information or portion of this Web site for your personal use only. This license does not include any resale or commercial use of this site or its contents; any collection and use of any product listings, descriptions, or prices; any derivative use of this site or its contents; any downloading or copying of account information for the benefit of another merchant; or any use of data mining, robots, or similar data gathering and extraction tools without express written consent from Nautilus, Inc. You may not modify, copy, distribute, transmit, display, perform, reproduce, publish, license, frame, create derivative works from, transfer, or otherwise use in any other way for commercial or public purposes in whole or in part any information, software, products or services obtained from this Web site, except for the purposes expressly provided herein, without Nautilus, Inc.'s prior written approval. You may not use any meta tags or any other "hidden text" utilizing Nautilus, Inc.'s name or trademarks without the express written consent of Nautilus, Inc.. Any unauthorized use terminates the permission or license granted by Nautilus, Inc.. You are granted a limited, revocable, and nonexclusive right to create a hyperlink(s) to the home page(s) of the Sites so long as the link does not portray Nautilus, Inc., its affiliates, or their products or services in a false, misleading, derogatory, or otherwise offensive matter. Unauthorized use of this Web site and or any Nautilus, Inc. systems, including, but not limited to, unauthorized entry into Nautilus, Inc. systems, misuse of passwords or misuse of any other information, is strictly prohibited. You may not use this Web site in any manner that could damage, disable, overburden, or impair any Nautilus, Inc. Sites or service or interfere with any other party's use and enjoyment of any Nautilus, Inc. Sites or service. You may not attempt to gain unauthorized access to any Nautilus, Inc. Sites or service, computer systems or networks connected to any Nautilus, Inc. Sites or service, through hacking, password mining or any other means. You agree that you will not engage in any activities related to this Web site that are contrary to applicable laws or regulations. Nautilus, Inc. reserves the right, in its sole discretion, without any obligation and without any notice requirement, to change, improve or correct the information, materials and descriptions on this Web site and to suspend and/or deny access to this Web site for scheduled or unscheduled maintenance, upgrades, improvements or corrections. The information and materials on this Web site may contain typographical errors or inaccuracies. Any dated information is published as of its date only, and Nautilus, Inc. does not undertake any obligation or responsibility to update or amend any such information. Nautilus, Inc. may discontinue or change any product or service described in or offered on this Web site at any time. The information, products and services on this Web site are provided on an "AS IS," and "AS AVAILABLE" basis. Nautilus, Inc. does not warrant the information or services provided herein or your use of this Web site generally, either expressly or impliedly, for any particular purpose and expressly disclaims any implied warranties, including but not limited to, warranties of title, non-infringement, merchantability or fitness for a particular purpose. Nautilus, Inc. will not be responsible for any loss or damage that could result from interception by third parties of any information or services made available to you via this Web site. Although the information provided to you on this Web site is obtained or compiled from sources we believe to be reliable, Nautilus, Inc. cannot and does not guarantee the accuracy, validity, timeliness or completeness of any information or data made available to you for any particular purpose. Neither Nautilus, Inc., nor any of its affiliates, directors, officers or employees, nor any third party vendor, will be liable or have any responsibility of any kind for any loss or damage that you incur in the event of any failure or interruption of this Web site, or resulting from the act or omission of any other party involved in making this Web site, the data contained herein or the products or services offered on this Web site available to you, or from any other cause relating to your access to, inability to access, or use of the Web site or these materials, whether or not the circumstances giving rise to such cause may have been within the control of Nautilus, Inc. or of any vendor providing software or services. In no event will Nautilus, Inc. or any such parties be liable to you, whether in contract or tort, for any direct, special, indirect, punitive, consequential or incidental damages, attorney fees, or any other damages of any kind even if Nautilus, Inc. or any other such party has been advised of the possibility thereof. This limitation on liability includes, but is not limited to, the transmission of any viruses which may infect a user's equipment, failure of mechanical or electronic equipment or communication lines, telephone or other interconnect problems (e.g., you cannot access your internet service provider), unauthorized access, theft, operator errors, strikes or other labor problems or any force majeure. Nautilus, Inc. cannot and does not guarantee continuous, uninterrupted or secure access to the Web site. All content included on this site, such as text, graphics, logos, button icons, images, audio clips, digital downloads, data compilations, and software, is the property of Nautilus, Inc. or its content suppliers and protected by United States and international copyright laws. The compilation of all content on this site is the exclusive property of Nautilus, Inc. and protected by U.S. and international copyright laws. All software used on this site is the property of Nautilus, Inc. or its software suppliers and protected by United States and international copyright laws. Nautilus, Bowflex, Mobia, TreadClimber, SelectTech, Universal, the Bowflex logo, the TreadClimber logo, the Nautilus swirl, the Nautilus shell, Bowflex TreadClimber logo, Bowflex SelectTech, the Universal logo and other trademarks and service marks referenced herein are either registered trademarks and service marks or trademarks and service marks of Nautilus, Inc. in the United States of America. Schwinn and the Schwinn Quality Seal are registered trademarks. The names of other companies and marks used on third-party products or services mentioned herein may be registered trademarks and service marks or trademarks and service marks of their respective companies and/or owners. You are prohibited from using any marks for any purpose including, but not limited to use as meta tags on other pages or sites on the World Wide Web without the written permission of Nautilus, Inc. or such third party, which may own the marks. If you copy or download any information or software from this Web site, you agree that you will not remove or obscure any copyright or other notices or legends contained in any such information. We receive and store certain types of information whenever you interact with us. For example, like many Web sites, we use "cookies" and "clear gifs" to obtain certain types of information when your Web browser accesses one of our Sites, or when you are provided the opportunity to complete surveys, participate in a sweepstakes or other incentives, or open or respond to any newsletter or other e-mail you may have requested. Briefly, "cookies" are small files that we transfer to your computer's hard drive or your Web browser memory to enable our systems to recognize your browser and to provide convenience and other features to you, such as recognizing you as an existing customer or previous Site visitor. "Clear gifs" are tiny graphics with a unique identifier, similar in function to cookies, and may be used to track the online movements of Web users or to let us know if you have opened an e-mail that we sent you. All items purchased from Nautilus, Inc. are made pursuant to a shipment contract. This means that the risk of loss and title for such items pass to you upon our delivery to the carrier. Nautilus, Inc. and its affiliates attempt to be as accurate as possible. However, Nautilus, Inc. does not warrant that product descriptions or other content of this site is accurate, complete, reliable, current, or error-free. If a product offered by Nautilus, Inc. itself is not as described, your sole remedy is to return it in unused condition. Please note that this policy applies only to products sold and shipped by Nautilus, Inc. 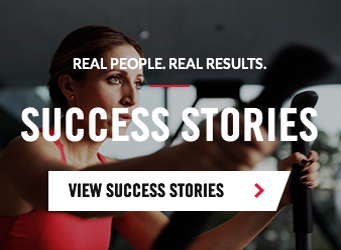 This site interacts with customers and others in Canada, but is located in and controlled and operated by Bowflex from its headquarters in Vancouver, Washington, USA. All information collected on this site is collected, stored, used and disclosed in accordance with privacy laws and personal information protection laws applicable in the United States of America. The U.S. government, and courts, law enforcement agencies or regulatory agencies in the United States may be able to obtain disclosure of such information through the laws of the United States. IN NO EVENT SHALL NAUTILUS, INC. LIABILITY EXCEED $50.00.